Facebook has partnered with Skype to add a video-calling facility to the social networking site and open another channel of communication for businesses. Skype - which is being acquired by major Facebook shareholder Microsoft - predicts a 50% increase in video calling traffic, according to the BBC. Skype stands to increase its number of users by up to five times from its current 150 million, although there will be some overlapping of members. Assuming Microsoft's acquisition of Skype is confirmed by regulators, pundits say the video-calling deal will strengthen Facebook's alliance with Microsoft, against rival Google. Businesses that have established a presence on Facebook can now interact with partners and customers face-to-face, saving travelling time and cost. Small and medium businesses will be able to interact with partners and customers through a single application, without the cost and hassle of setting up video conferencing facilities. Although not the primary target for Facebook, businesses will also be able to capitalise on the site's group chat feature alongside video calling. The initial implementation of video calling does not include group video chat, which is one of the key features of Google+. 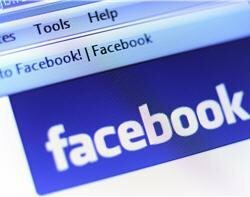 But Facebook chief Mark Zuckerberg hinted group video chat would be rolled out soon, according to the Financial Times. Mark Zuckerberg has been studying the competition and already has more followers on Google+ than any other user - including Google chief Larry Page, the paper said. Confirming Facebook's number of active users at over 750 million, Zuckerberg said the rate at which users are sharing things is a far more interesting metric. Every day, four billion things are shared on Facebook, with users sharing twice as much as they were a year ago, Zuckerberg said. Facebook expects the rate to double every year.